St. Martin's Griffin, 9781250138804, 240pp. 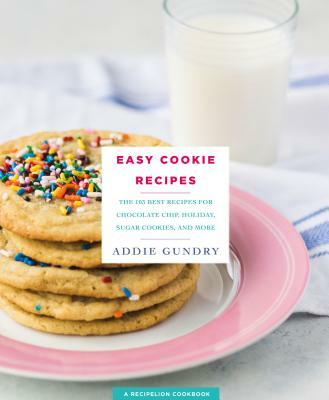 In Easy Cookie Recipes Addie Gundry adds elegance to no-frills baking with delicious results. From Apple Pie Bars to Red Velvet Thumbprints, No-Bake Coconut Graham Cracker Cookie Bars, and the best chocolate chip cookies ever, 103 Easy Cookie Recipes shows you how to use expert tips and shortcuts to make over a hundred types of cookies, plus plenty of customizations to make these recipes your own. Once you have your baking basics down, you can explore fun inventive types of cookies. This book is a collection of 103 playful recipes that add to, change up, and make old recipes new and exciting, while maintaining what makes cookies classic. Each recipe is paired with a gorgeous, full-color photo.